..".a beautiful book with a beautiful message. In language that is inspirational and never didactic, and illustrated with extraordinary grace, the book shows young children how easy it is to be kind through small acts and in simple ways. It takes a lofty concept like kindness and makes it not only attainable, but enjoyable. Cool beans! 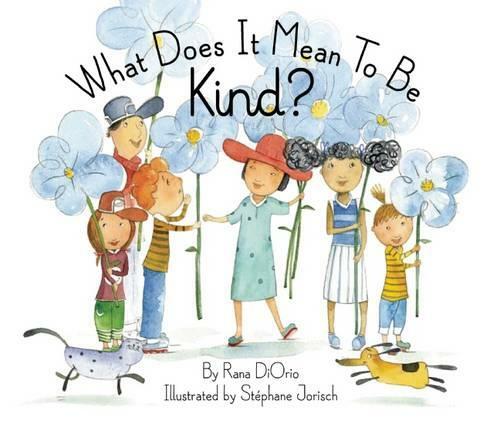 -- R. J. Palacio, author of #1 NYT bestseller, Wonder"
"It s nice to see a children s book focused so specifically on the value of kindness, and one that gives so many definitions of what that term can mean. It s also pleasant to experience the kind treatment of animals as part of what it means to be kind. The publisher includes a note in the book about their use of environmentally sustainable materials in production, demonstrating the book s lessons in practice. This is a cute book with a welcome perspective." --Foreword Reviews"
"It s encouraging to see a children s book focused so specifically on the value of kindness, and one that gives so many definitions of what that term can mean. It s also pleasant to experience the kind treatment of animals as part of what it means to be kind. The publisher includes a note in the book about their use of environmentally sustainable materials in production, demonstrating the book s lessons in practice. This is a charming book with a welcome perspective." --Foreword Reviews"